The handler request to show the teeth for the judge. 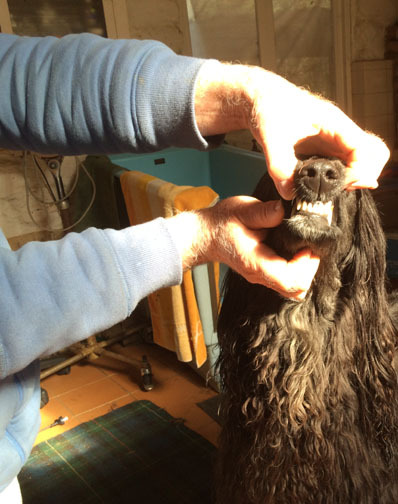 If the dog is under six months, and the handler cannot expose the teeth, the judge continues the conformation inspection without observing the teeth. In the event of the dog being 6 months or older and the handler cannot expose the teeth, then the dog should be excused from judging. Exemption from the ring may seem dramatic at the time, but this avoids any permanent damage to the dog’s temperament and gives the handler an opportunity to work with the dog in another place to accept the procedure. Many of the dogs I see at the Peter Frost TOP DOG Handling workshops, have become mouth and head shy resulting from overzealous judges trying to see the teeth. 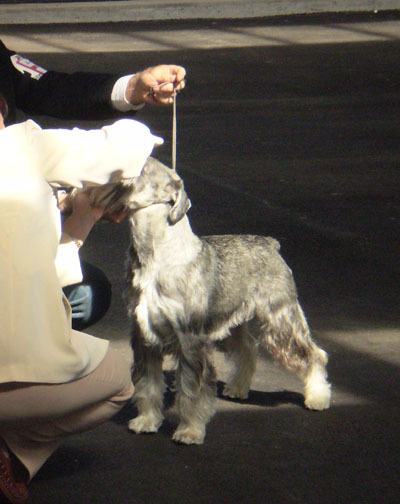 Handlers can indicate to approaching judges that they are going to mouth their exhibit by positively showing the teeth. To achieve this, the handler needs to be exposing the teeth when the judge is no closer than one metre (yard) away and having the jaw elevated to approximately 45 degrees, so the judge only needs to look and not put hands on. 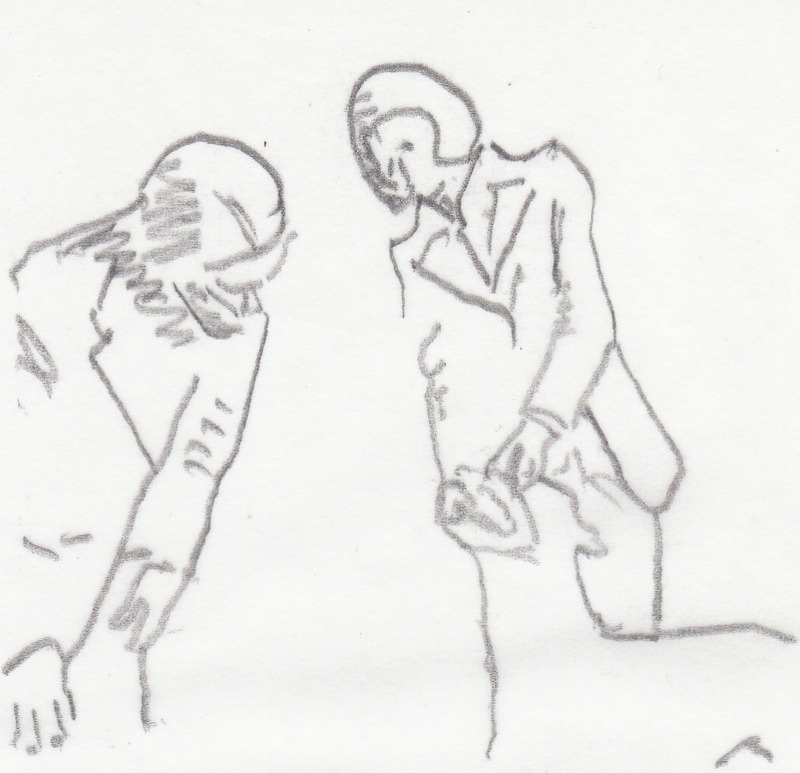 If a judge does not interpret the handler’s action as a will to show the teeth then there is no rule or defined etiquette that handlers cannot request that they wish to show the teeth. A courteous,”Sir/Madam, if you do not mind I would prefer to show the teeth for you”, then immediately proceed to showing the teeth. A tip, show the teeth at full arms length, this indicates to the judge that you the handler have nothing to hide and remember that you do not have to look, because you should know that they (teeth) are in there! In my experience of nearly 50 years of handling pure breed dogs when using this method, it is extremely rare for any judge to override my request. What have you found?